Award your employees with trophy necklaces! These can be made in any style, size, and color, with any logo! For this project, I was asked to make 5 necklaces for the client's award ceremony. 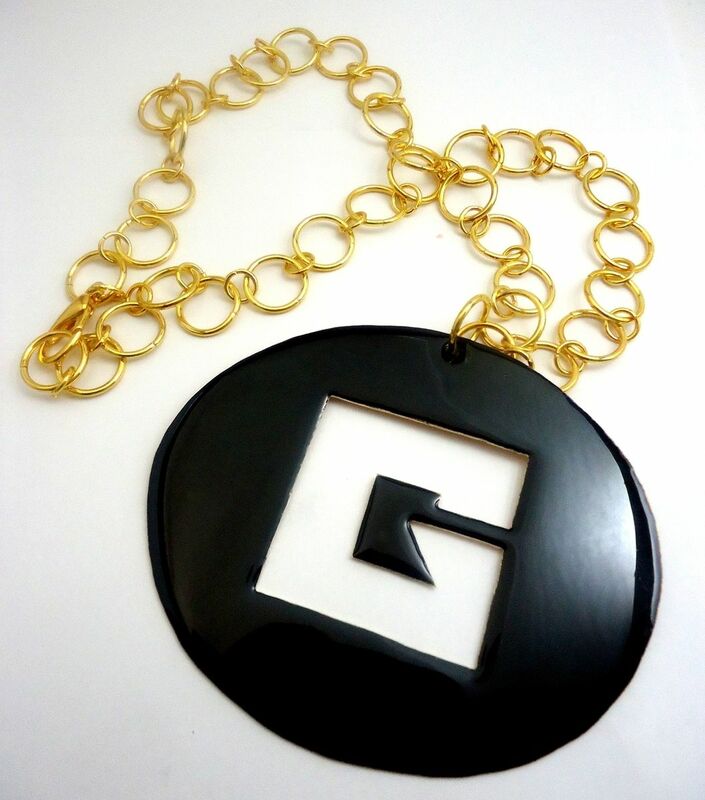 They wanted them BIG and gold, with a heavy looking chain to mimic something Snoop Dog would wear, and wanted their company logo on them. I made these out of a yellow brass. 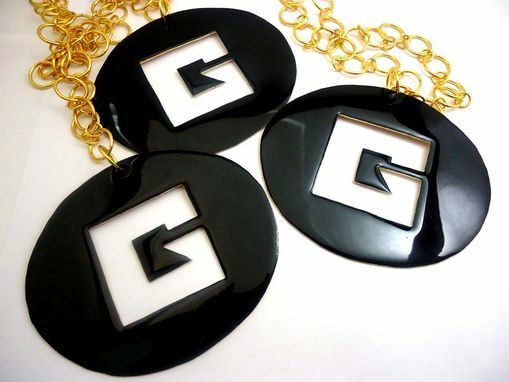 The logo silhouette is cut out from the middle, like a window, and I used black enamel on the entire pendant. I made the chain because I could not find any large enough in a gold color. The pendant measures approximately 4" wide, and the chain 25" long.